It was getting toward the end of the night at Rao’s, the hedonistic swirl of food, banter, profanity and singalongs finally dying down, affording Bo Dietl the rare chance for reflection. He leaned against the bar, his usual pink drink of Ketel One, club soda and cranberry juice in hand, his mind on the New York City of old and the race for mayor that could have been. 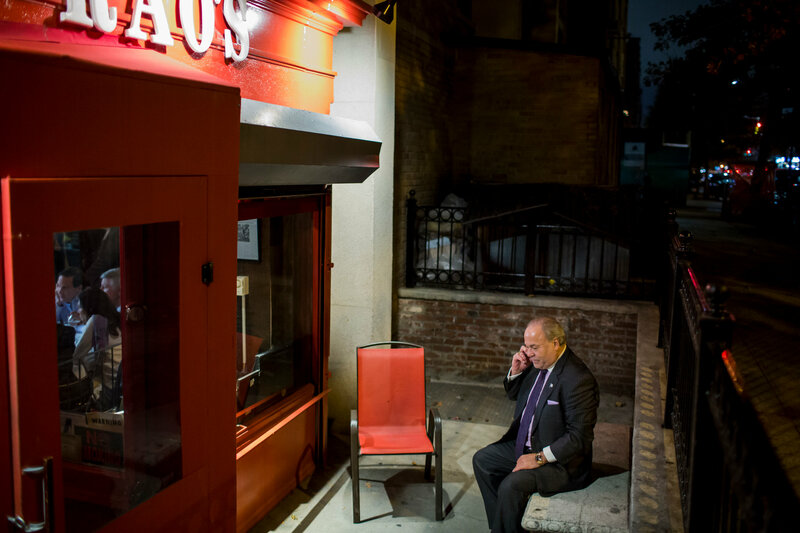 Nine days after finishing sixth out of seven candidates in the mayoral race, Mr. Dietl returned to his usual Thursday night table at Rao’s in East Harlem, the Italian restaurant famed for its exclusivity and straight-from-central-casting history as a mobster’s redoubt. For Mr. Dietl, as for other regulars, the restaurant remains a kind of refuge, a place out of time where there is no menu, nearly every diner breaks into song when the jukebox begins playing its usual list of Sinatra and standards, and Christmas decorations hang year-round — a quirk born, the owner said, of some long-ago laziness that grew into a signature décor. It is a place where bygones can be bygones, and Bo can be Bo. It is also, perhaps, the one place where Mr. Dietl could plausibly claim to be mayor. Men and women — but mostly men — crouched to kiss his cheek and offer words of encouragement as they entered and left through the restaurant’s red doors, a path that forced all to pass by Mr. Dietl, who sat in his usual perch at Table 1, reserved for him every Thursday night, by the front door. “I agree with everything he says,” said a longtime Rao’s regular, Gigi Napolitano, 75, who grew up next door to the East Harlem restaurant. Another praised Mr. Dietl. “The debates were great,” said the man, referring to the two raucous televised mayoral debates in which Mr. Dietl shared the stage with Mayor Bill de Blasio and the Republican candidate, Assemblywoman Nicole Malliotakis. “Thank you, Lou,” Mr. Dietl replied. “A little quiet,” the man observed sardonically. “If I was any more animated, I would have punched him in the face,” Mr. Dietl said. Mr. Dietl began coming to the restaurant as a police officer assigned to the local precinct in the 1970s. He said he secured his table in 1977 from the owner at the time, Frank Pellegrino, when it was much less difficult to get in, and many of the regulars were believed to have mob connections. He credited the table with launching his business career after he left the Police Department several years later. 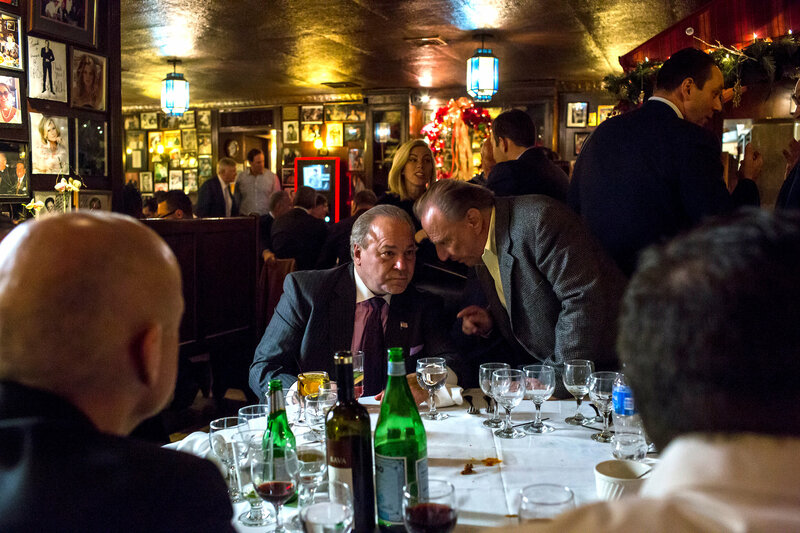 For much of the campaign, and his life before, Mr. Dietl has traded on his table at Rao’s. He has given it up for charity, and offered it as a inducement during his mayoral campaign to donors though there were no takers. “That didn’t work too good,” he admitted. After the first mayoral debate, he offered to take Mr. de Blasio and his wife, Chirlane McCray, to Rao’s as a way of making amends for a racially insensitive comment Mr. Dietl made about Ms. McCray. They did not take him up on it, and perhaps for the best. The mayor had few overt supporters in the restaurant. Thursday’s visit was Mr. Dietl’s first since the election. He shook hands and exchanged jokes. He complained about the news media coverage of his campaign to Joey Pisacano, a former bookmaker, and Anthony "Bowat"Baratta, a one-time reputed captain in the Lucchese crime family. “Hey, there’s my heart doctor!” Mr. Dietl said of a man leaving the restaurant. Mr. Dietl has noted his similarity to President Trump, because he said they both often spoke from the heart, even if what they said was not always politically correct. By night’s end, Mr. Dietl had provided ample evidence to support his side of that thesis. By the time the plates of veal, shrimp, lemon chicken and eggplant Parmesan had come and gone, and Mr. Dietl had already told the story of the patron murdered in 2003 in the seat next to his (Mr. Dietl was not there at the time), he summoned those at his 10-person table to listen to a quote from Theodore Roosevelt. With Mr. Dietl on Thursday night were employees of a German bank as well as Andrew M. Murstein and his father, Alvin Murstein, who run a taxi medallion financing company. The younger Mr. Murstein achieved some internet notoriety for hosting a lavish bar mitzvah for his son that included Gov. Andrew M. Cuomo and the singer Nicki Minaj. Mr. Murstein detailed his years of trying to secure a spot in the restaurant. Now that he is friends with Mr. Dietl, he comes regularly, and said he had dined with the actor Leonardo DiCaprio and the former baseball player Hank Aaron. By night’s end, Mr. Dietl, back in his element, embraced President Trump, saying he would apologize for calling the president a “lying narcissist” during the mayoral campaign. He added that he was thinking that, after having registered as a Democrat during the city’s election, he would return to the Republican Party. “You’re so right,” Ms. Napolitano said, laughing. “I’ll never run again. I hate politics,” he said. Mr. Dietl left the restaurant with leftovers in a plastic bag. His silver Mercedes sat double-parked in front, where it had been for the duration of the meal. He climbed in and drove off.